No need to rent any longer! 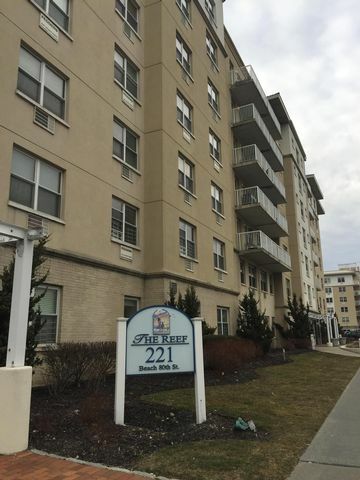 Move right in to this 2 bedroom, 1 bath condo with open living room, dining room and modern kitchen- and deeded parking space. Enjoy the fresh air from your own terrace! The building has security, laundry facilities, recreation room for parties, and outdoor barbques and entertainment spaces. Located just a block from the Atlantic Ocean, trains and buses- close to restaurants and shopping , it’s a perfect location! Low maintenance , beautiful grounds , tax abated , pet friendly in this doorman building.